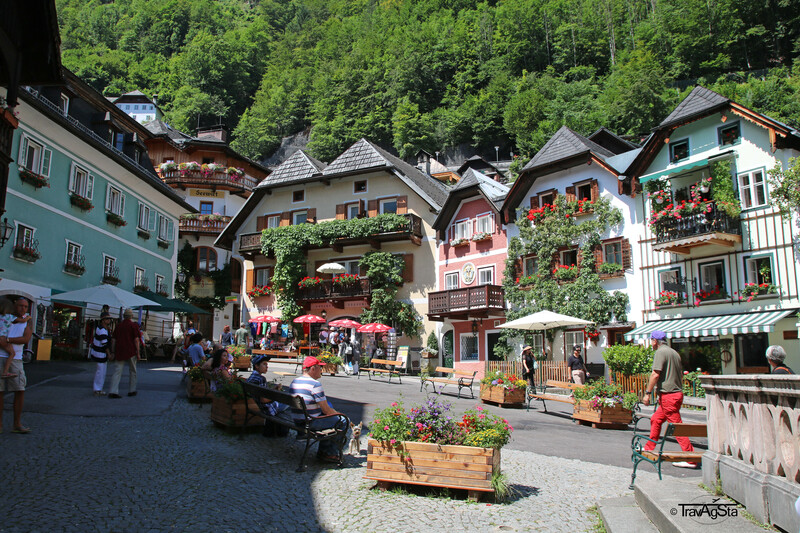 Bad Hallstatt – Fairytale town in Austria! 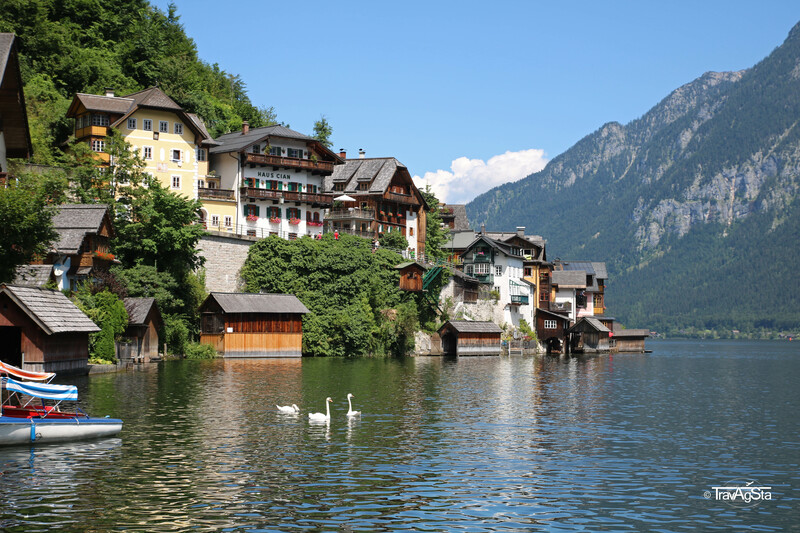 It’s one of Austria’s most romantic places and famous worldwide – the picturesque market town of Bad Hallstatt lies between mountains and the Hallstatt Lake. We saw so many pictures before and have known for quite a while that we will visit this place once. Then there was our trip to Slovenia the first week of August and the situation wasn’t perfect for us. It was the first day of summer school holiday in Bavaria, which traditionally leads to traffic jams on the highways. Additionally it was that day when Putin came to Slovenia which caused the closing of the Karawanken tunnel and the mountain passes to Slovenia until the evening. So we wanted to avoid highways and arrive in Slovenia not before the evening. Perfect for a (small) detour and so we visited the place we have dreamt of for a long time. 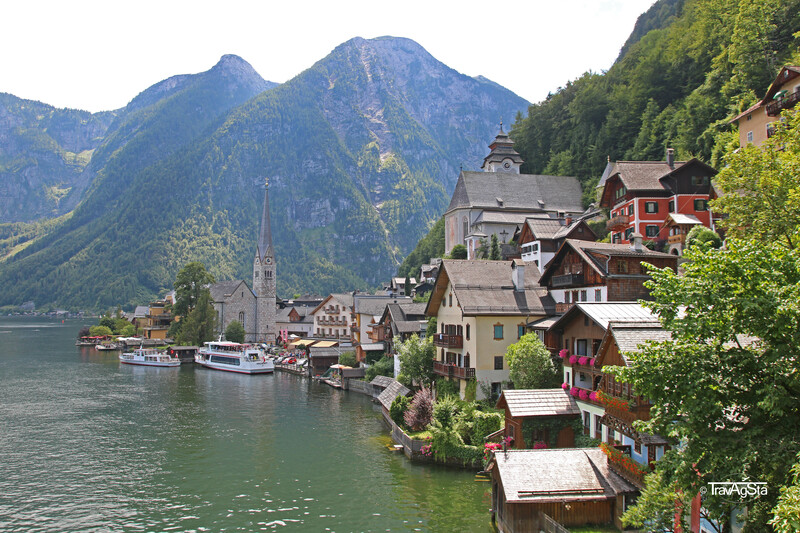 Bad Hallstatt doesn’t even have 800 residents and is located in the Salzkammergut, Upper Austria at Hallstatt Lake. Due to its salt resources, the region is populated since the New Stone Age and belongs to one of Austria’s oldest Salt mining cities. Since 1997 it belongs to the UNESCO World Heritage. It was easy for us, so if you have the possibility come with your car. Parking in one of the few parking garages is expensive, but you’re flexible and it’s comfy. If you don’t have a car and still want it comfy, you should make a day trip from Salzburg or Vienna by bus. Just ask at the local tourist information. The less comfy way to get to Bad Hallstatt is via train. There are few direct connections and in the end you have to take the ferry over the lake to get into the town. But still it’s an option and probably cheaper than by bus. 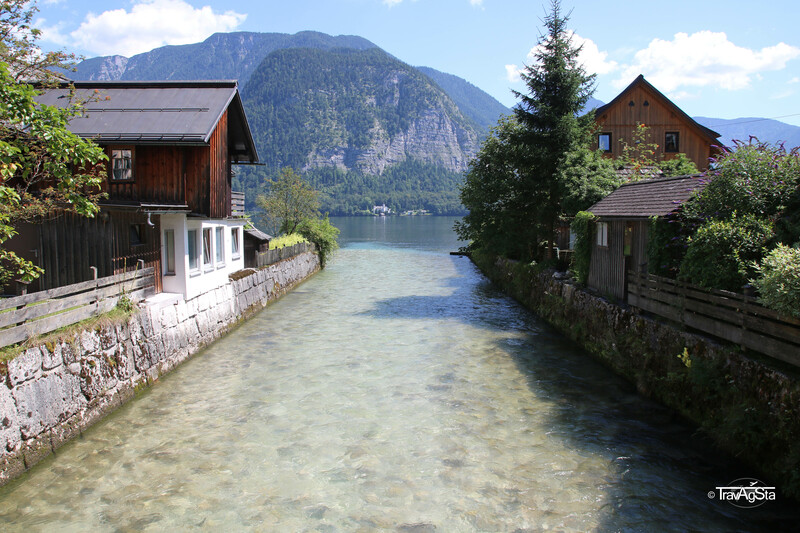 In Bad Hallstatt you don’t need any vehicle as it is a small town and everything is within walking distance. Some hours are enough to see it all. If you want to see the illuminated buildings, you should book a night here. What we really loved was the market square. 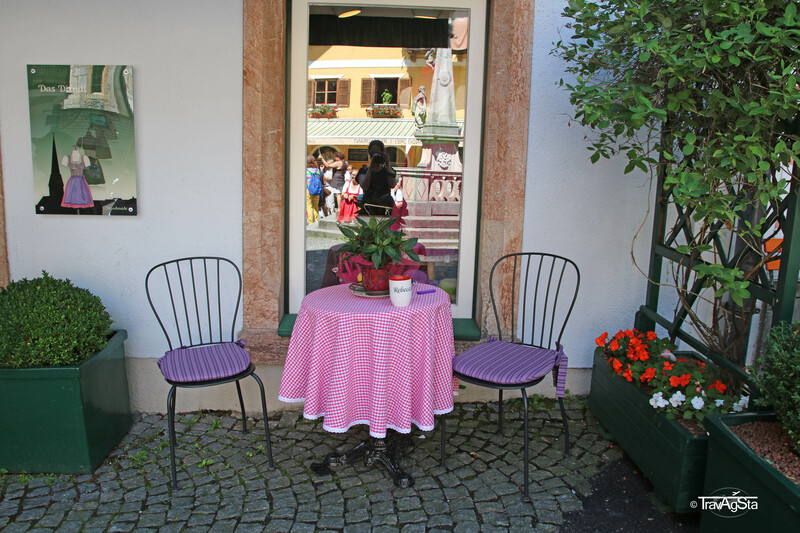 It’s perfectly restored to make its visitors happy and they love to sit in one of the many cafés here. Of course, we had to sit down, too. 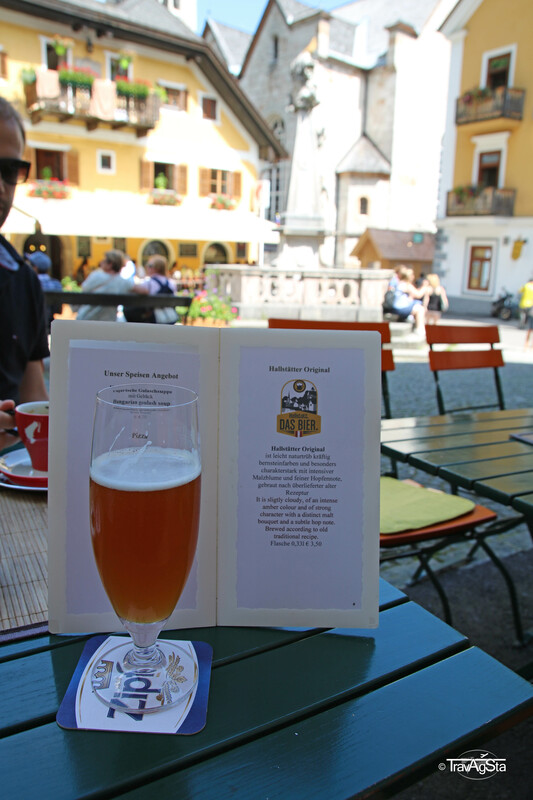 There’s no need to say, that you have to try the local beer called Hallstätter Original. It tastes fabulous. 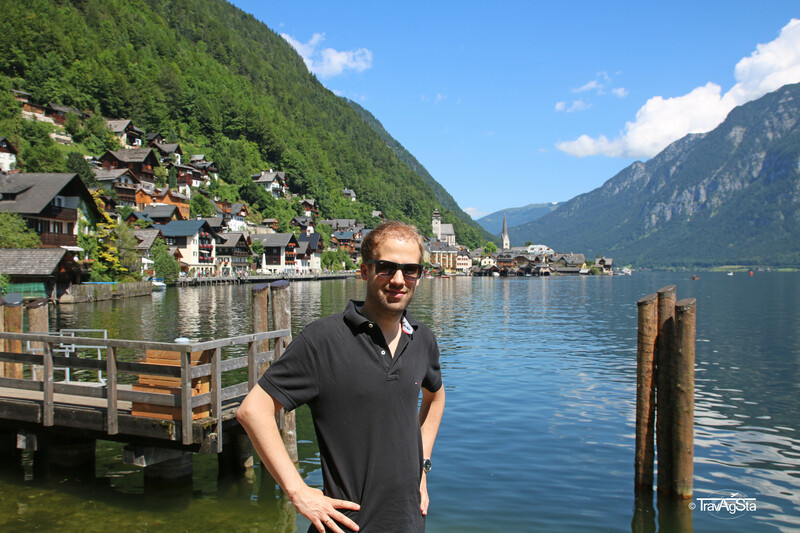 Before we arrived, I informed myself in other blogs and they said the locals in Bad Hallstatt weren’t very friendly. This is only partly right. 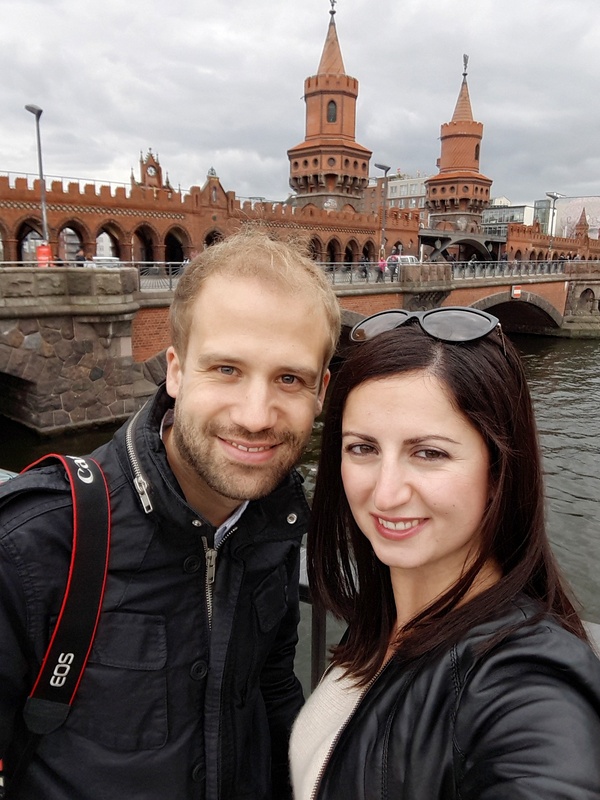 As we’re from Bavaria, we’re used to these kind of people – let’s say they’re a little bit blunt. Strangers who don’t know this might feel unwelcome. In our opinion everyone was friendly – at least their kind of friendliness. Furthermore we made a boat trip over the lake. As there’s nothing spectacular happening, you should enjoy the view over the lake and the pretty town. The half hour ride is enough, anything else could be a little bit too boring. What we didn’t do was going inside the churches. Beer and coffee appeared more interesting. And there’s a museum. And what do we never do when the weather is good? Right, going inside a museum. In contrast to this it was way too hot for us to see the salt mine up on the mountain. Yeah, we’re lazy people. 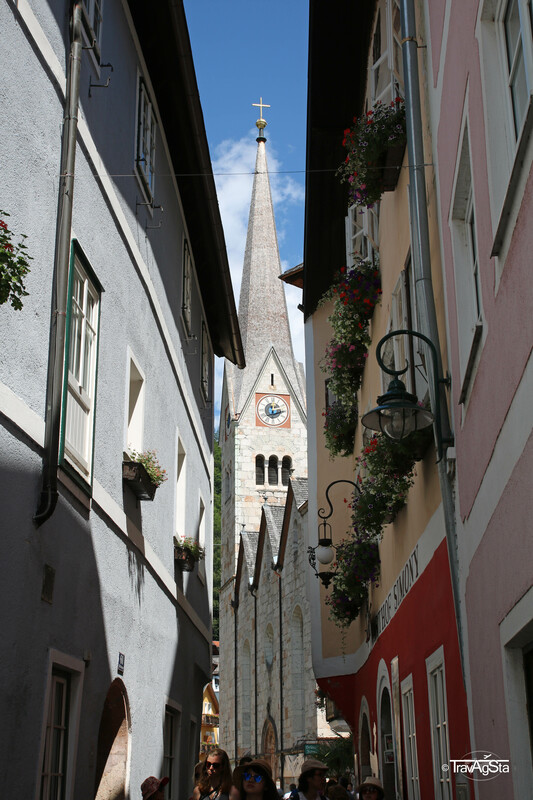 When in Bad Hallstatt, we noticed that the town attracts a lot of Asian people. 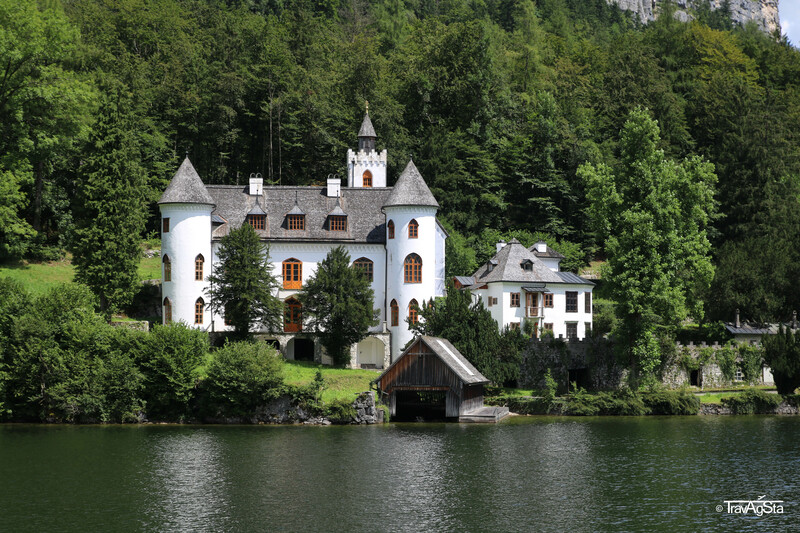 To show their enthusiasm about Bad Hallstatt, they even built a perfect replica in Guangdong, China. And they’re right to do so – it’s a long way from China to Austria. 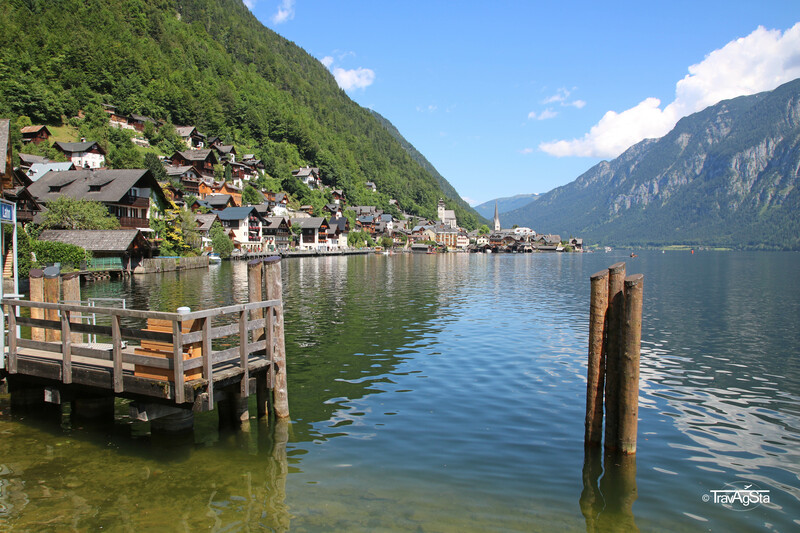 Why not building a Bad Hallstatt in your neighbourhood? I’m really impressed! Obviously the local people are not so happy about that. 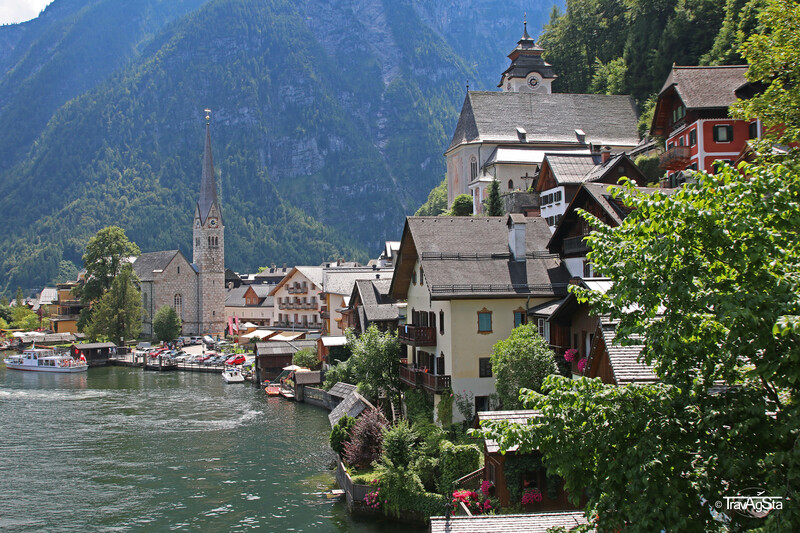 Bad Hallstatt is definitely a picture perfect city and stands in line with Colmar and Annecy. It’s really hard to take bad photos here. I’ve seen pictures of the town being covered in snow or with rain, dark and sunny, in the morning and evening. It’s a photodorado! 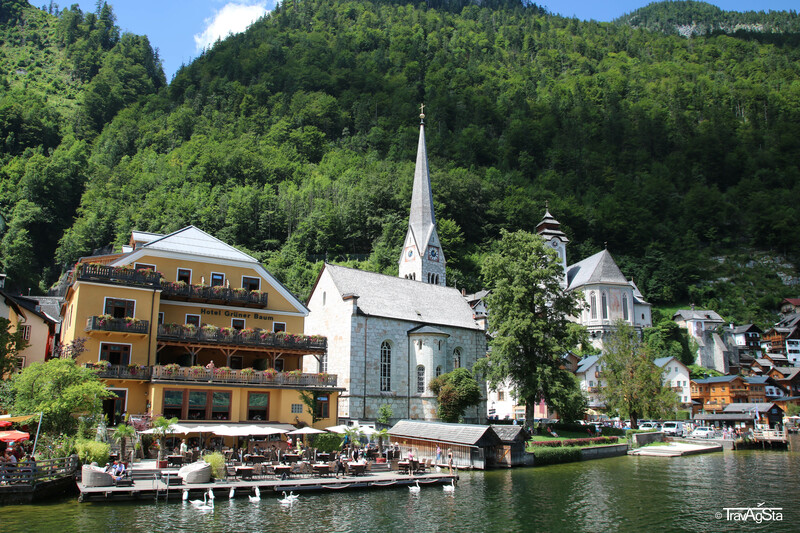 From up the street or from the lake – it doesn’t matter – Bad Hallstatt is amazing. 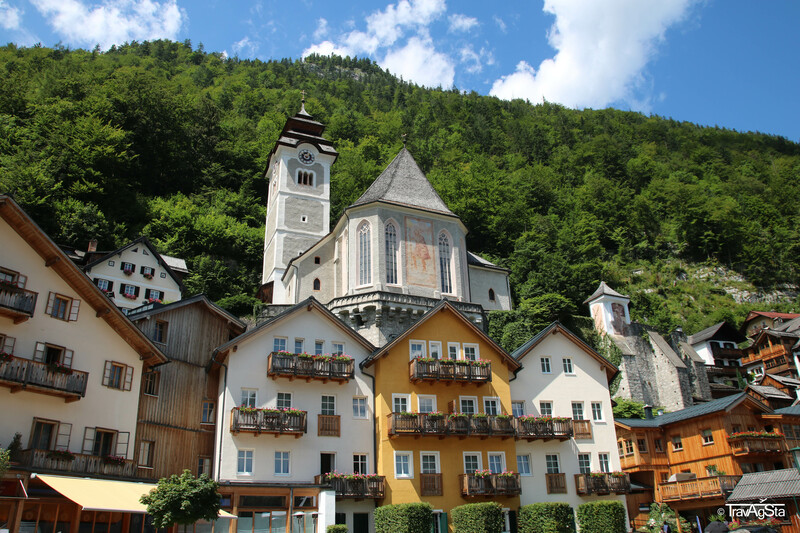 Have you visited Bad Hallstatt yet? What do you think about this place? Itinerary for 2 weeks in South Africa – from Cape Town to the Garden Route! Makarska Riviera – Croatia’s dreamy beaches! Annecy – France without Germans!